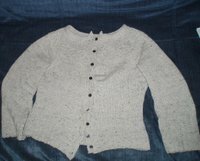 Even though I haven't been blogging lately, I still have been knitting. 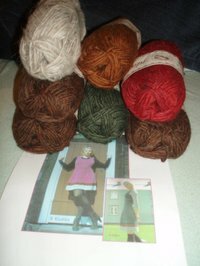 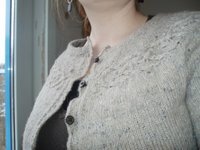 The plan was to finish Tangeld Yoke Cardigan before I started on Klukka, but I haven't followed my plan, and I defintley used more time on Klukka than Tangled Yoke Cardigan. 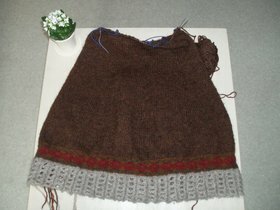 Klukka is really fun to knit and fast. 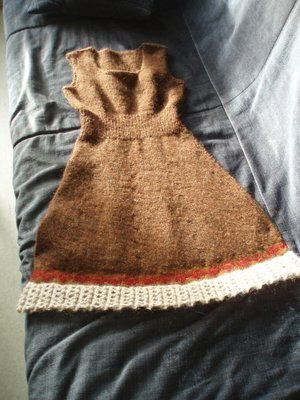 At moment I'm stating to see that shape of dress, which motivates me even more to continue.